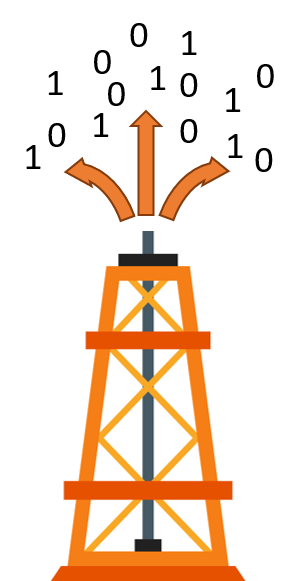 Industries have been created to develop and use natural resources. The different mining industries, timber industries, and many of the farming industries illustrate that point. And the control of natural resources is often directly related to the power and significance of a nation-state. Wars have been fought over the control of oil, minerals, water, and arable land. Societies and cultures have developed around the management and processing of natural resources. To say that understanding and managing natural resources is important is an understatement. Let’s look at the definition of a natural resource again. It is anything occurring in nature that can be used for economic gain. Most types of data are a description of what is occurring in nature. Let’s compare a typical natural resource to data. Imagine an apple seed that is sown in the ground. It grows into an apple tree. That tree then yields bushels of apples, which are regarded as a natural resource when they are harvested. Similarly, an event occurs in the world around us. That event creates analog data – sound, movement, scenes, emotions, and reactions among people and things. That analog data can be digitized and harvested. It becomes a resource that can be used for economic gain. And since this resource is representing something that is occurring in nature, it is a natural resource. Much of our data today is in digital form. This means the data is a digital representation of the world around us. It is the digital natural resource. Consider some of the different types of traditional natural resources. There are minerals that are mined. Some are scarce and precious like gold and silver. Some are much more common, but are processed and used in multiple applications, such as iron or tin. But generally speaking, there is a finite amount of minerals in one area. Some of the data natural resources are like that. The data is buried and must be dug out. In some cases, there is a limited amount of data when it relates to a unique occurrence. In other cases, there is a tremendous amount of data that can be used for many different purposes. Then there are the natural resources associated with agriculture that are labeled as renewables. These have a growing cycle from seed planting through harvest. And these natural resources can be fertilized to increase yield. There are many types of crops and different strains are grown to emphasize different characteristics. The land can yield multiple harvests as long as it is tended. With respect to the data resource, the “planting” of IoT sensors or the collection of actions and reactions in digital devices can create an ongoing harvest of data. And different sensors or data recorders will give different insights into the natural phenomena that is happening. Natural resources are only valuable when they are used. Oil in the ground that is never pumped creates no value for mankind. Wild grapes that are never harvested and turned into wine provide no value for mankind. For the value of a natural resource to be realized, there must be a process to acquire the resource, purify the resource, and apply the resource. The execution and management of this process creates value. Let’s use the example of iron ore resource and compare it to the data resource. First, iron is found in many locations, but it is buried. Likewise, data is being created all the time, but it is often buried. A geologist discovers a deposit of iron ore based upon his or her knowledge of the surrounding geology and the results of testing. A data scientist can apply their knowledge to the business or societal circumstances and identify areas where important data can be collected. The mining company must acquire the mineral rights before they can legally start to mine the iron ore. And in today’s society, many types of data, especially personally identifiable information requires the consent of those involved before it can be collected and processes. When the mining company has determined they can legally and economically mine the iron ore, they will open the mine. There are numerous mining techniques – some very manual and some relying on technology and automation. The type of mining done will depend upon the location and the expertise and resources available to the mining company. The parallel with digital data acquisition is obvious. Once the decision is made to acquire the data, there are many different tools that can be used. The data acquisition can be done using manual methods, or a digital platform can be used to automatically and systematically collect the data. The mining company must then ship the iron ore to the processing locations. This could be by truck, by rail, or by ship. In the same way, the acquired data must be transmitted to the servers and applications where the data will be processed. Granted, data transmission is much faster than shipping iron ore. But it is also much easier to intercept the data and garble the data during transmission. Once the iron ore reaches the processing operations, it goes through many steps before it is useful for applications and has created economic value. The iron ore is crushed and heated until it becomes malleable. The iron must be refined and impurities must be removed. The iron can then be cast into useful shapes and sizes or combined with other minerals to make new products, such as steel. Again, there are the similarities with data processing. The individual data elements are often aggregated into databases. The data is cleansed to remove noise and false data points. The resulting databases can then be used for many different applications, and multiple databases can be combined to create new applications. By placing digital data into the paradigm of a natural resource, we can use lessons learned from history about the management of natural resources. This tells us that data management is full of both opportunities and risks. These opportunities and risks exist for individuals, business entities, and society at large. First, they exist for the individual. A person who is a skilled worker or craftsman in an industry that is developing a natural resource is employable, and often has a very good-paying job. In fact, a culture or society will often develop around that natural resource and additional societal relationships and cultural norms will develop. This gives the individual a sense of community and purpose. History has shown us this in agrarian cultures and mining communities we find around the world. In fact, this effect has been created with respect to digital data in the Silicon Valley culture. Continuing to consider the individual, if a culture develops based upon a natural resource and an individual does not participate or rejects the use of the natural resource, they will likely be ostracized by their culture. One other point - when a new natural resource, or at least a new deposit of a natural resource, is discovered, a frenzied “get rich quick” atmosphere can develop that is full of charlatans and predators. Consider the California gold rush of 1849. While some did get rich, many others were fleeced and destroyed during that time. That is a word of caution for those individuals who are jumping on the digital transformation bandwagon. Make sure you are relying on trusted sources. Next let’s consider business entities. There are numerous opportunities up and down the value chain of a natural resource. A company may choose to specialize in one aspect of the value chain and offer its services broadly across the industry. Or it may attempt to vertically integrate around one application or category or use for that natural resource. Of course, all the normal aspects of a competitive business environment are present and the need for access to capital, customer engagement, quality products and services and competitive pricing all contribute to the success or failure of a business. With respect to digital data resource management, the speed and scale of the industry precludes a “wait and see” strategy. The barriers to entry are low and natural geographical boundaries are meaningless. There are already many digital giants and entrepreneurial start-ups. The development of the industry is racing ahead and those who are not embracing digital transformation are shut out from participating in the development of this natural resource. Finally, there are opportunities and risks for society. Access to information and data has become a great democratizing influence around the world. Digital data and information have opened the doors for goods, services, and exposure to ideas and knowledge in virtually every corner of the world. But with this explosion of data has come the spread of propaganda and censorship and the loss of personal privacy. When one company becomes all-powerful within an industry, it often results in exploitation of customers and aggressive hostility towards new ideas. Monopolies stifle the development of an industry and culture. It has been argued that companies like Google and Amazon have too much power and that they should be broken up in the same way that Bell Systems was dismantled during the 1980s. In addition, when personal private information is in the wrong hands, it can be used to manipulate and intimidate individuals. The European Union recently took action to address this concern with the imposition of GDPR regulations. The correct balance point for both of these concerns is still being debated. Using the paradigm of a natural resource, the development and management of the digital data industry and its impact on society becomes clearer. It is not just an incremental step in technology advancement. Rather, it is an organizing element for industries, society, and individuals. And as with any other natural resource, control of the resource and the ability to process that resource and use it for many applications is a strategy for success. Whether you are an individual dabbling with digital devices, a corporation that is attempting to participate in the digital data value stream, or a policy maker who wants to leverage the advantages of this natural resources and avoid the risk, you need a strategy for engagement. You are not in the “Bronze Age” you are in the “Digital Data” age. Are you making the most of your opportunities? While many businesses are talking about the need to transform for the Digital Age, the roadmap for transformation is unclear. This is not a surprise. Few organizations have done it successfully. While there are several "native-born" digital age success stories, the transition from industrial age business to digital age business requires fundamental changes in business systems, structures, and culture. Where to start your transformation depends upon the current status of your business technology, the industry you are in, and the level of commitment and support from the executive management team. One of the most difficult challenges in starting the transformation is to create a vision of what "digital" means for the business. Let me help you create your vision by applying digital age technologies and management practices to a well-known and accepted industrial age business model. In 1985, Michael Porter, the Harvard Business School professor, published the seminal book, "CompetitiveAdvantage." Porter’s theories on competitive advantage became the foundation for business strategy around the world. In that book, he articulated a model for the business value chain. The effectiveness of a company’s strategy is based upon the strengths and weaknesses of each of the elements of the business value chain as compared to those of its competitors. Inbound logistics – the receipt and inventory management of inputs to the business processes. Operations – the transformation of raw materials and components into products, services, and systems for sale to the customers. Outbound logistics – the shipment and delivery of products and services to the customers. Marketing and Sales – the interactions with the customer to convince them to purchase the products or services. In retail businesses this primary activity normally occurs after the inbound logistics, operations, and outbound logistics steps. In Build-to-Order businesses, this step is normally the first of the primary activities. Service – the delivery of services to the customer, either supporting a product or as the market offering. Some industries are exclusively service industries (airline) and other industries have almost no service component (retail paper goods). These four activities supported the Primary Activities, which are the ones leading to transactions with customers. The effectiveness of these Support Activities improves the effectiveness of the Primary Activities. Now let us consider the four technologies whose intersection has been the genesis for the digital age. Some of these technologies have been available for many years. However, the integration of these has transformed more than products or services. These have changed the way companies interact with customers, the role of employees, and how businesses manage their processes. The widespread integration and use of digital WIFI technology allows almost anyone and anything in the world to establish a connection with other people or things. Whether it is in a home, in a factory, at retail store, or entertainment venue, there are numerous devices connected via WIFI. And the devices on the network are growing every day. This opens up totally new channels of communication between the customer and the seller. It also opens up new channels of communication within an organization or operation for providing status and control of what is happening. All of these devices are collecting and transmitting data which leads to the creation of enormous data sets that are changing in real time. The tools and techniques used with big data can analyze these data sets for trends, patterns and associations that provide insight about the ecosystems represented by the data set. Without the tools and techniques of Big Data, the information created by the IoT would be practically worthless. Big Data brings insight and clarity from the confusion of data overload. Processing the Big Data created by the IoT requires a great deal of computer processing power. However, building and operating data centers is expensive overhead for many companies. Especially when the data center must be sized for the worst case computational load. That means that much of the functionality is sitting idle most of the time. Cloud Computing overcomes this challenge by spreading the computation and memory requirements over many computers and data centers that are connected via the internet cloud. This allows virtually any company to now have instant access to huge amounts of processing capability at low cost. 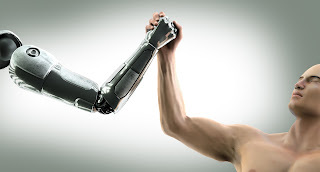 Artificial intelligence (AI) is the use of computer systems to perform tasks or activities that normally require the insight and understanding of a person. Machine learning is a current application of artificial intelligence that provides enormous amounts of data to AI machines, letting them extract patterns and discover cause and effect relationships. A characteristic of AI is that the systems assess a situation and takes an action based upon that situation without any intervention from a human operator. Thanks to the integration of IoT, Big Data, and Cloud Computing, AI has become feasible for numerous applications. Now it is time to apply the four enabling digital technologies to the Business Value Chain activities. This will create a vision for the impact of digital transformation on that aspect of a business. When you understand that vision in a generic sense, you can translate it into your specific business realities. I’ll start with the support activities. Firm infrastructure – all four enabling technologies will have a significant impact on these activities. Business analytics are growing exponentially in many organizations and these are built using the enabling technologies. In addition, the IoT is changing the nature of physical infrastructure requiring networks or WIFI throughout the operation. Human Resources management – IoT and AI will have the biggest impact in this area. Through IoT, employees and operators will be able to connect with equipment, systems and team members anywhere at any time. The application of AI will change the content of many positions. AI is likely to take over many lower-end manual or repetitive tasks. This will eliminate some positions and change the content of others into the role of problem solver. Technology deployment – from a transformation perspective, this activity is likely to be the least affected. Many organizations already have processes and practices in place to upgrade and enhance both product and process technology. That activity will continue. 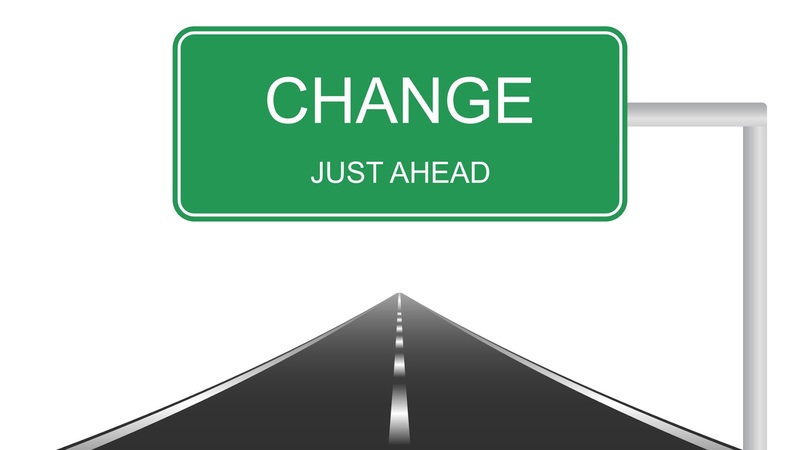 One likely change will be a greater reliance on sourced technology deployment such as the use of the Cloud Computing. Procurement – the change in this area will be one of timing and flexibility which means it leverages IoT, Big Data, and Cloud Computing. The pace of change in the digital age is much faster than the pace in the industrial age. Windows of opportunity in the market open and close within months not years. Therefore, the network of key suppliers, contractors and service providers will likely need to change quickly also. There will be more emphasis on procurement partners who have already transformed to digital age business processes and less emphasis on "low cost" providers who are still operating in the industrial age. The impact of the digital age technologies on Porter’s business value chain supporting activities is integrative and reinforcing. As technology deployment makes the IoT, Big Data, Cloud Computing, and AI available, the other three supporting activities utilize that capability. They soon rely on it and will demand that technology deployment accelerate the implementation of improvements in each of those areas. For instance, the IoT leads to better connect people and systems. This leads to better management using real-time data in the infrastructure layer. This also allows the procurement layer to partner in real-time with suppliers and service providers anywhere in the world opening up new opportunities. However, this demands that the HR layer provide people with the technical skills to use the technology and the leadership skills to form, lead, and facilitate constantly evolving diverse global teams. All of these will lead to a demand for the technology deployment layer to provide better IoT performance in terms of bandwidth and security. Let’s turn our attention now to applying the four enabling digital technologies to the five primary activities from Porter’s business value chain model. These activities are the ones directly supporting a customer transaction. Inbound logistics – the IoT will improve the speed and accuracy of this activity. If the supply chain is large and complex, Big Data and Cloud Computing can help to manage the logistics to ensure optimal performance for either cost or cycle time. Operations – the transformation in this area is likely to use all four technologies. In manufacturing operations, many companies already rely on IoT and limited AI in their factory automation. In addition, many field service based operations rely on IoT to stay connected with their operators and equipment in the field. 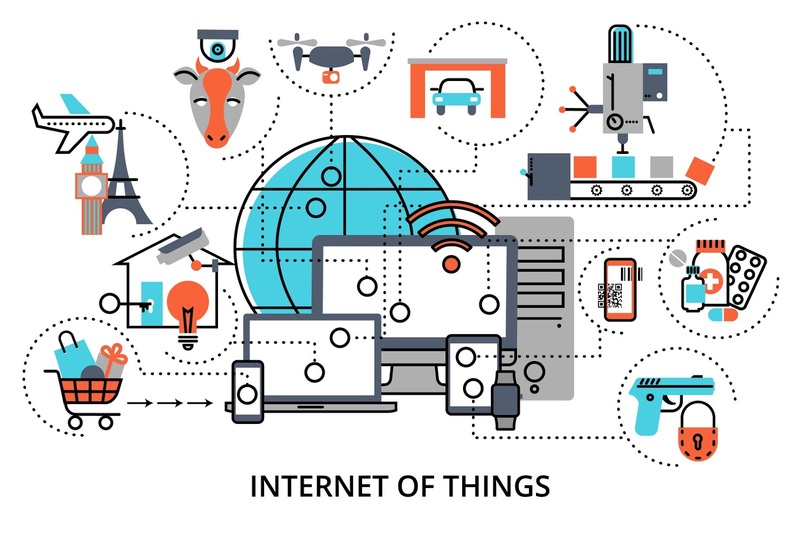 The expansion of IoT in operations systems has exponentially increased the data collected leading to the use of Big Data and Cloud Computing to monitor system status and predict system performance and the need for maintenance. Outbound logistics – IoT, Big Data, and Cloud Computing are already changing this activity. Amazon is an example of a business that is built upon using the digital technologies to transform this business activity. The digital technologies allow Amazon to find and ship almost anything to almost anywhere overnight. Marketing and Sales – Big Data, Cloud Computing and AI are transforming the Marketing and Sales processes. Big data and Cloud Computing can segment customers and provide personalized product and service offerings based upon this segmentation. The AI "bots" are now taking orders and answering questions from customers. This area is growing fast, and capabilities are expanding almost daily. Service – again all four technologies, IoT, Big Data, Cloud Computing, and AI are having an impact in this area. The connectivity of products and services allows expanded data collection and the use of Big Data analytics. The Cloud Computing can analyze and predict performance and service needs. AI is problem solving and in some cases automatically fixing issues. Consider your automobile. It knows when something is wrong, it informs you of the diagnostics, it can schedule a service call or identify the closest service center to your current location, and connect you with someone in an emergency. And coming soon, it will actually do the driving also. The digital age technologies are transforming industrial age industry. If you wait until the transformation is complete before you start to change, you will go the way of shipwrights for sailing ships and buggy manufacturers. But you don’t want to haphazardly throw resources at the technologies and hope that something works. Many of us tried that during the dot.com bubble and watched as millions of dollars and years of time were wasted. You need a strategy for your transformation. I suggest you start with the Porter business value chain model. Consider your industry, your organization’s strengths and weaknesses and then begin to apply the digital age technologies. Your strategy for competitive advantage will dictate what changes are needed and when. I grew up playing football. I was a tight end. I learned to block and tackle and knew how to run my routes. I wasn’t very good, so when I went to college I moved off the field and into the stands. There I cheered for my team. I don’t think I missed a single home game and I made it to some of the away games. I don’t go to games as often any more, but I am still a fan. I have binge watched football games on holidays and weekends. While I may not be classified as an expert, I know the rules, I know how the game is scored, and I can spot a well-executed play. I understand what it takes to win at football. 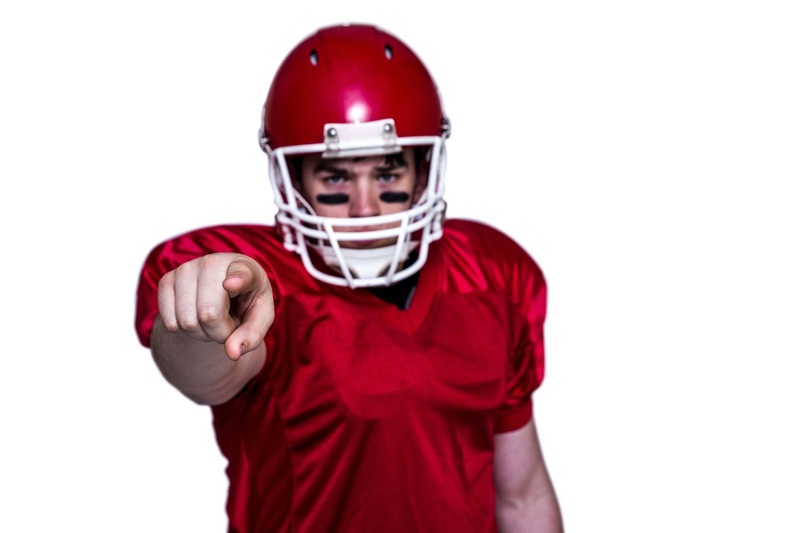 There is a strong resemblance between business success in the industrial age and American Football. And there is also a strong resemblance between business success in the digital age and Association Football. There are some similarities; for instance, both have two teams of 11 players competing against each other on a large field with the goal to be to outscore the opponent. But don’t let the similarities fool you. The games are different. How they are played, the skills needed by the players, and the strategies used need to be those appropriate for which version of “football” you are playing. So let’s set aside the technology for digital age businesses for a minute. Things like the Internet of Things (IoT), cloud computing, big data, artificial intelligence and robotics. Instead lets’ talk about how we organize and manage a business for the digital age as compared to the industrial age using a metaphor of playing two different games, both called football. American Football relies on power, strength, agility, training, and competitive strategic game plan. Let's consider the implication of some of these attributes and their parallel to industrial age business. In American Football, each player has a position or role. There are strict rules associated with that position. For instance, an interior lineman cannot catch a forward pass, that action is reserved for backs, ends, and wide receivers. Also, the skills needed for success vary based upon your position on the team. That same interior linemen must be excellent at blocking, with great leg strength and arm strength. A wide receiver should be very fast and have “good hands” for catching the ball. A free safety needs to be very quick and agile to play pass defense, while a nose tackle should be very strong to push past the opposing teams offensive line and tackle the running backs or quarterback. Sure, it would be great if everyone was good at everything, but on most teams, a player works to develop the skills that are essential for success in their position. Industrial age businesses have a similar characteristic. The business has functional specialists who know one position well. There are accountants in Finance, engineers in R&D, and quality inspectors in Operations. The skills required for each position are very different and the authority of each individual is different based upon the rules for that position. A Finance person does not have the authority to determine if a product was made correctly, and the quality inspector does not prepare the quarterly tax filings. Everyone knows their role, and the road to advancement and success in the organization is to become very good at your job. Of course, broad business knowledge is good to have, but you are expected to be an expert in your function or role. If everyone has that attitude and aptitude, the industrial age business should perform well. It is just like in American Football terms, you want to be in the starting lineup of team that is bound for the playoffs or a bowl game. Also, in American Football, the teams run set plays. Everyone waits until the ball is snapped, then every player has a specific action they are to do. The right guard may be pulling to block for the tailback who is going off the left tackle, or he may be pass blocking for the quarterback. The tight end is running a buttonhook route, or blocking for a jet sweep. The outside linebacker is tracking the running back who is in motion to pass defend them out of the backfield, and the defensive backs are either in man-to-man or zone coverage. Everyone knows what they are supposed to do on every play. And each team is trying to win on each play. They want to overpower the other team with their athleticism and confuse them so they won’t know what to expect. Again, there is similarity to this in industrial age business. The company creates a competitive strategy. It may involve intellectual property, new products or new markets. It may rely upon excellent execution that leads to faster delivery or personalized service. Some of the strategies may be defensive in nature such as negotiating long term contracts to prevent competitors from gaining market share or using pricing to discourage other entrants to the market. Many businesses conduct an annual or semi-annual strategy planning session to determine these strategies. The business functions then create processes to support those strategies. This is just like creating plays in American Football. Everyone has specific actions they are supposed to do. 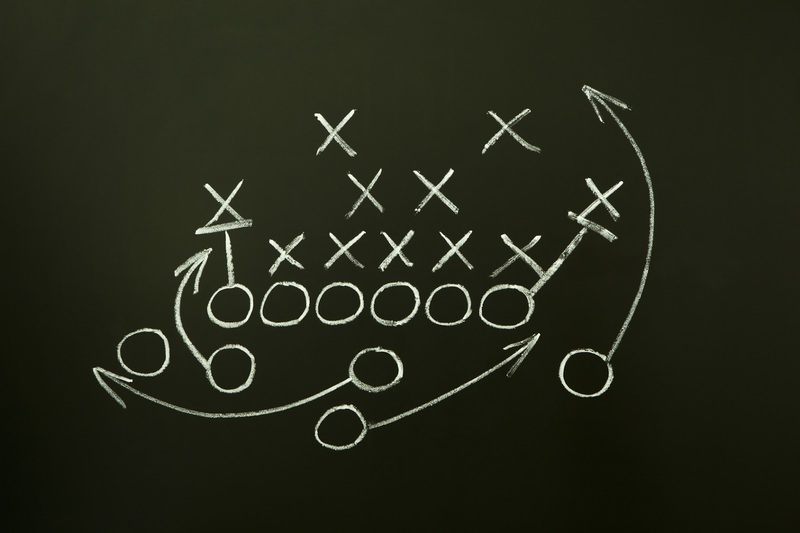 If successful, they either advance the company’s offering in the market – just like the offense advancing the football. Or the processes will blunt the competitor’s offering – just like when the defense stops the opponent for no gain. At the risk of stretching the metaphor too much more, let’s also acknowledge that there are rules about how the game is to be played and scored. There are end zones and goalposts that are used to determine the scoring. There are sidelines that define when something is out-of-bounds. Each team gets four tries, or downs, to move the ball at least 10 yards forward. If they can’t do that, they turn the ball over to the other team and then that team tries to move the ball 10 yards. There is a clock that is running, but it frequently stops for a variety of reasons. Also, there are rules on how the game is played at the individual level. 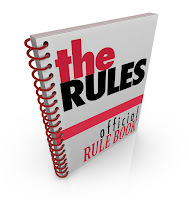 This includes rules of behavior and rules associated with different positions. Finally, there are umpires and referees who watch for any infraction of the rules. 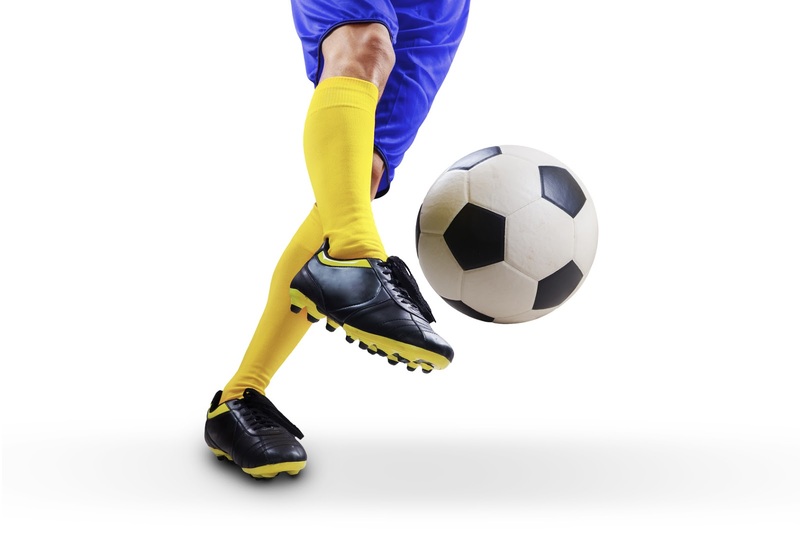 Depending upon the nature of the infraction, they impose penalties of varying degrees all the way from a minor repositioning of the football up to barring an individual from ever participating in the sport. Industrial age business is the same. There are rules governing the industry and individual behavior. These include financial accounting rules and tax laws that tell us how to score success. Depending upon your industry, their may be other regulatory requirements that define what business actions or offerings are “out-of-bounds.” In addition, there are industry watchdog groups and regulators who are watching for infractions. Depending upon the nature of the infraction, you may have to do additional testing or add a warning label on your product. You may be barred from selling certain types of products or services within certain markets. And for really serious infractions, you may be incarcerated. So, let’s look at how things change when we discuss digital age business. Association Football, what is known as “soccer” in the USA, is our metaphor. I will start by pointing out that the rule books are very different. Association Football has 17 rules of play and they can be fully described in a seven-page memo. 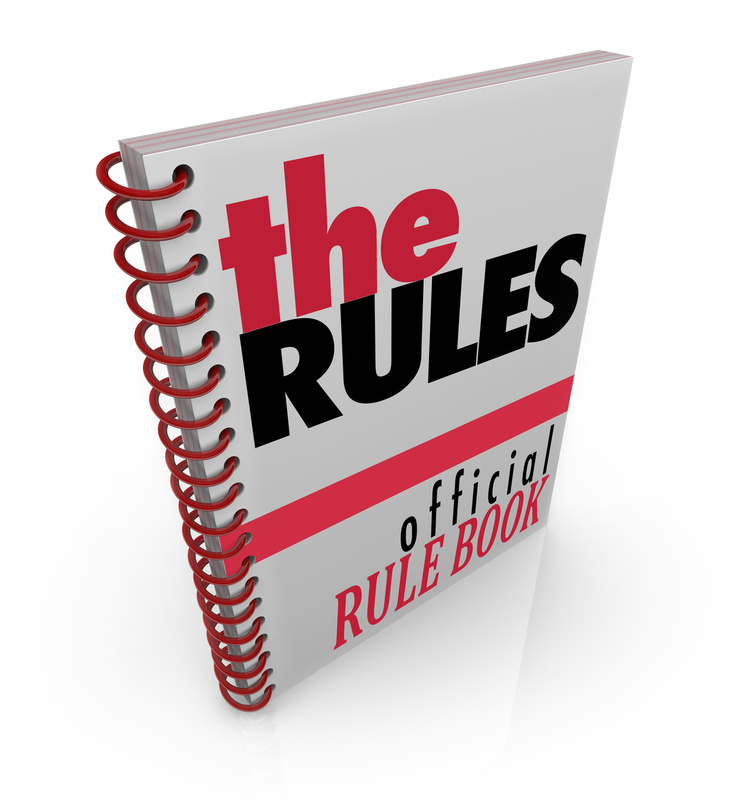 The rule book for college level American Football, as published by the NCAA, is 220 pages long. Even if we overlook the 14 pages compromising the title, table of contents, acknowledgements, and index, there are still 206 pages of rules. That doesn’t mean that Association Football is easier, rather it means that there is a much broader scope for innovation and improvisation. That is definitely something we see in the digital age business. The scope for innovation, collaboration, co-creation and changing the business model is enormous. One of the similarities is a field with sidelines and end-lines that clearly delineate “in-bounds” from “out-of-bounds” with both types of football. However, the Association Football field is larger and what is even more enlightening is that the dimensions can vary from field to field within a minimum and maximum length and width. And speaking of the field, the markings on the field are also different. 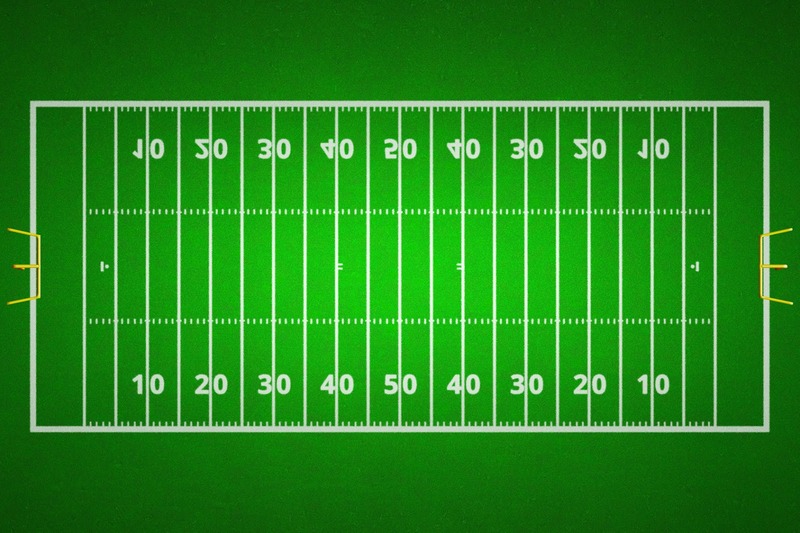 American Football has yard markers and hash marks so you can determine your precise location on the field. 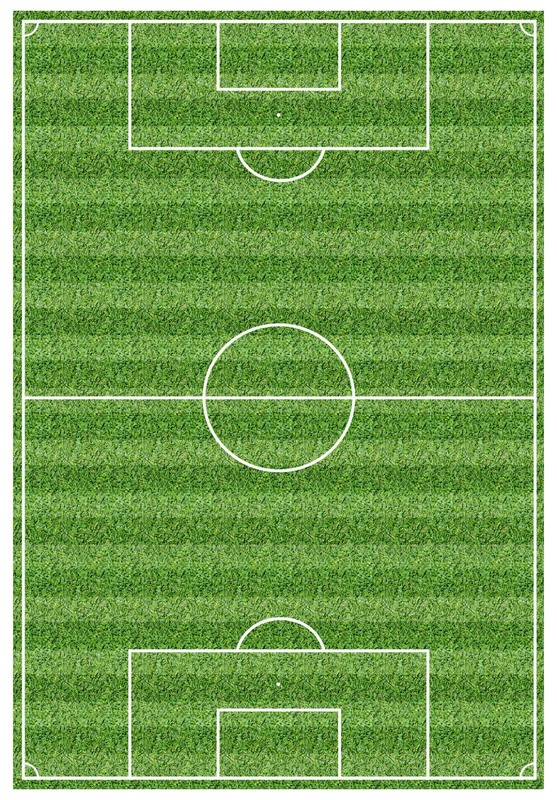 An Association Football field has a center line with a center circle and then lines defining space around the goals and in the corners. But no other markings on the field – just lots of open space, Digital age business is also operating in a field that is varying all the time and is less clearly defined than industrial age business. Another point of both similarity and contrast is that there is a goal at either end of the field with both types of football. However, there are some differences in the goals. 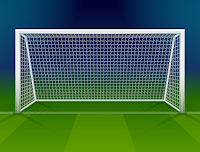 The Association Football goal is resting on the ground and is closed on all four sides – left, right, top, and bottom. If a kicked ball crosses the plane of the box defined by the goal, there is a score. The American Football goal is suspended in the air. It is only defined on three sides – left, right, and bottom. 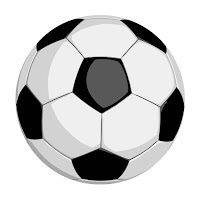 If a kicked ball crosses the plane of the goal, there is a score. But the magnitude of the score varies depending upon whether the kick it is a field goal or a point after attempt. 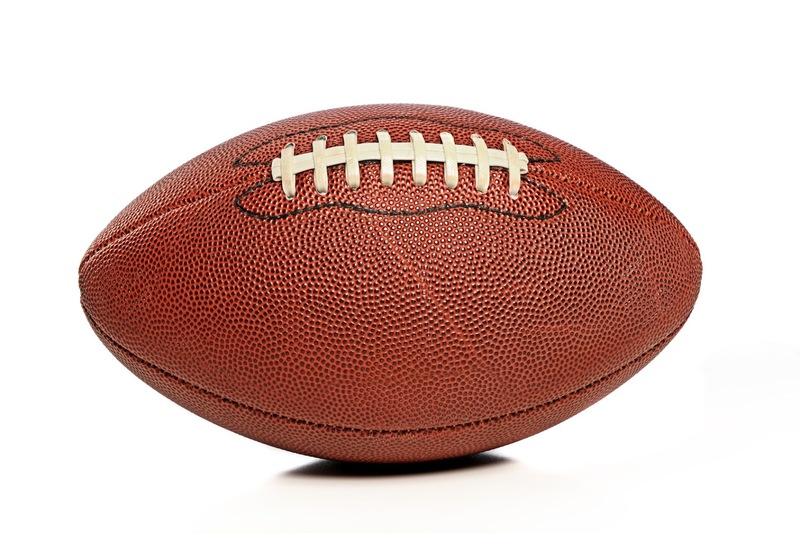 In addition, American Football has three other ways to score: a touchdown, a safety, or a two-point conversion. There is a lot of complexity in the scoring system for American Football. 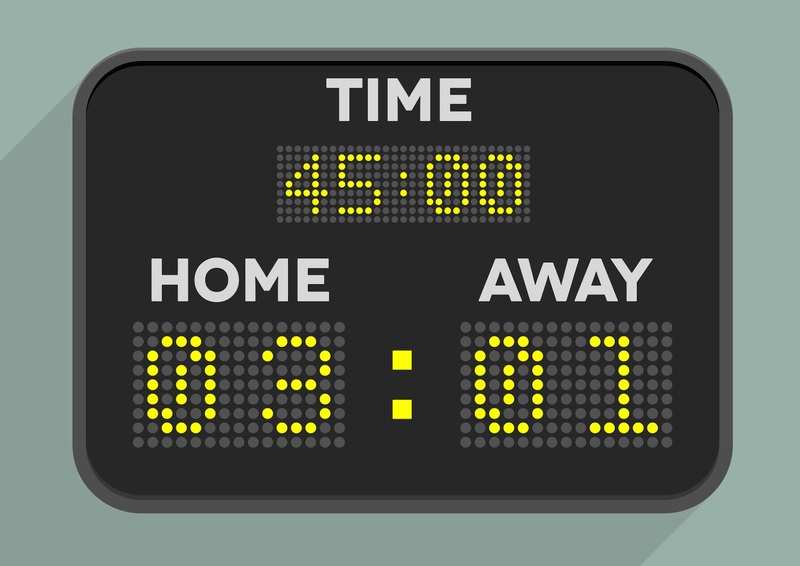 Association Football scoring is much simpler – kick a goal, score a point. However, it is interesting to observe that the scores in a match in Association Football are much lower than American Football. Just because the scoring is easy to understand, that does not mean it is easy to accomplish. Applying this to digital age business, we see that there is no advantage in complexity. Businesses are much closer to their customers and suppliers. Success is measured in real-time when the transaction occurs. That doesn’t make it easier. If your team is much quicker and more agile than the competition it will likely score many more goals. Complexity does not add value to digital age businesses. 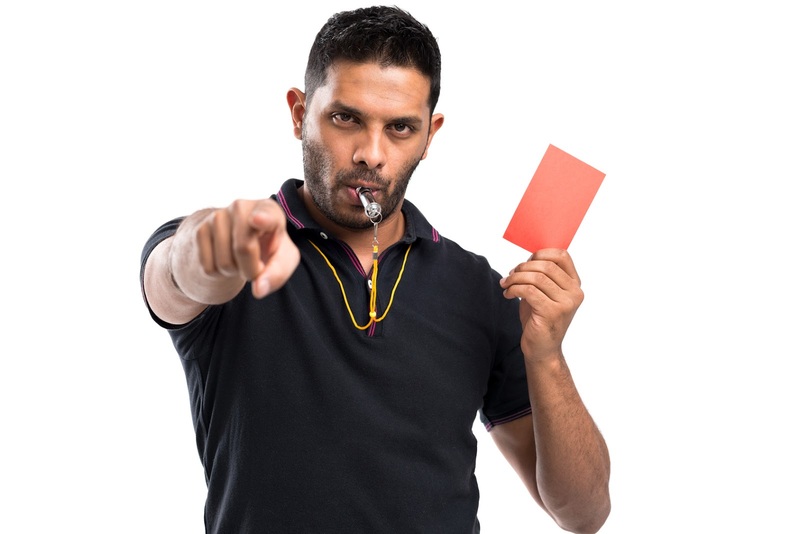 A similarity between the two styles of football is that there are referees, and umpires or linesmen who watch for infractions and can penalize a team or player. Of course, the nature of the infractions is different because the rules are different. And the nature of the penalties is also different. As a general rule, American Football infractions will put you in a less advantageous position with respect to scoring or preventing a score (penalty yards). Whereas, Association Football infractions will give the ball to the opposing team with an opportunity for a free kick. Continuing with our discussion of business. Most infractions in industrial age business practices were a setback, but the business could continue operating with its current strategy, customers and suppliers. In digital business, information is immediately and widely shared. Information, or misinformation, about an infraction can go viral in a matter of hours. This will directly impact your ability to do business with customers and suppliers. When an infraction occurs, you find yourself immediately playing defense. In fact, that brings us to the actual playing of the game. In American Football, each player had a specific position with rules for that position and specific assignment on each play. This principle is not followed as closely in Association Football. 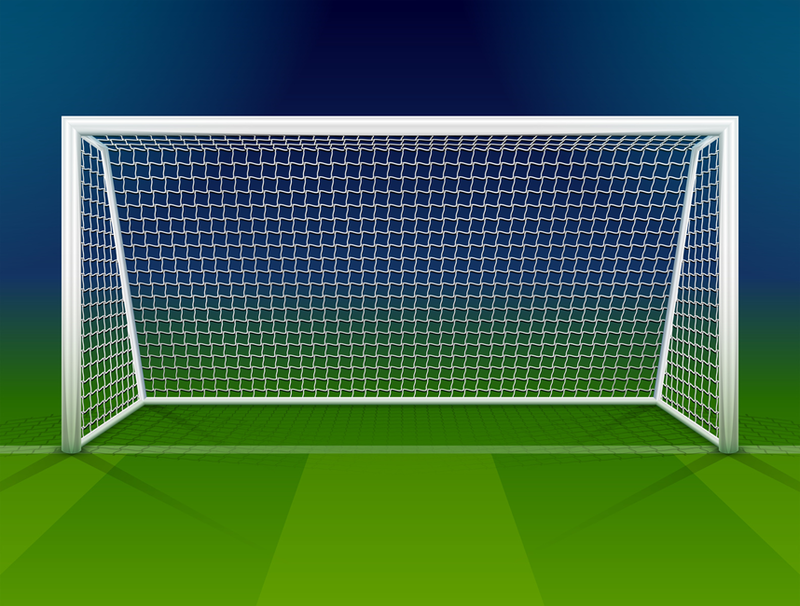 The goalie does have some very specific rules, but many of those only apply when the goalie is in front of the goal. There are just three other positions on the Association Football team, that of defenders, midfielders, and forwards. The team can determine how many team members from each category are on the field at one time, as long as the total is eleven. And while these positions have general responsibilities, they are fluid. Often interchanging between each other within a position category and helping each other across categories on both offense and defense. There is a decided parallel in digital age business. Roles are fluid. Virtual teams are created for an opportunity and when something changes in the ecosystem, the team membership or team leadership changes in a heart beat to react to the new opportunity. So it is no surprise to see the play on the field of an Association Football match is much less structured or choreographed as compared to an American Football play. The ball is always moving; it does not stop between plays. And a team finds itself switching between offense to defense in a moment as a pass is intercepted or a kick goes awry. When things change, clock keeps running and there is no stop to run a set play. Instead, each team is constantly on the move as they strive for ball control and to gain an advantage. Digital age business moves at pace that is much faster than industrial age. The technology is rapidly changing, customer needs and expectations are changing with each new transaction, and the amount of data is growing exponentially. Also, the clock doesn’t stop in digital age business. It is conducted on a global level and is expected to be “on” 24/7/365. An industrial age business trying to stop and setup a play in the digital age will find the competition has swept pass them. It is instructive to note that what is normal play in an Association Football match would be called a “busted play” in American Football. Granted there are special plays in Association Football that may start action on the field such as a corner kick or free kick, but even then, the action is very fluid. A good rule of thumb is that the team with the better agility and stamina will have a distinct advantage in Association Football. Since the ball is always moving, team members must always be moving to either defend their goal or attack their opponent’s goal. The implication for digital age business is that you need empowered agile teams that can innovate and co-create in real-time to be successful. The command and control structure of industrial age business is too slow. You can’t operate with the coach calling all the plays like we do in American Football. Instead, the team members are assessing the environment, taking instant advantage of a mistake by the other team and moving the ball toward the goal. When the opportunity arises they act, they don’t stop to ask permission. Well this metaphor is becoming a bit tortured so let’s wrap this up. Managing in the industrial age and managing in the digital age are different. The skills that were needed for one, can become pitfalls for the other. If you were successful as an industrial age business, you will need to make some changes to thrive in the digital age. Be thoughtful how you make the change. 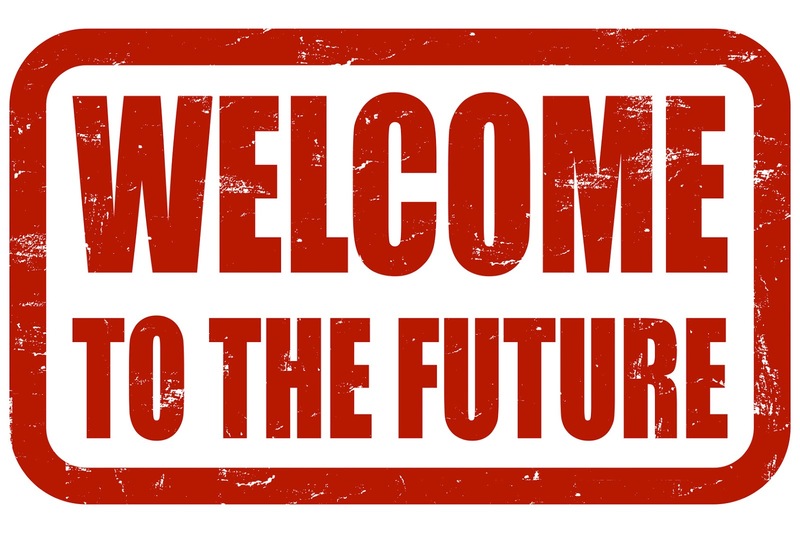 Chances are, there will be a time of transition where part of your business will need to continue to operate in the industrial age to serve your industrial age customers. But as that customer base shrinks, you will need to be serving digital age customers with a digital age management approach. If you don’t, you can bet that someone else will. The management approaches are different. Roles and responsibilities are different. The pace of business is different. 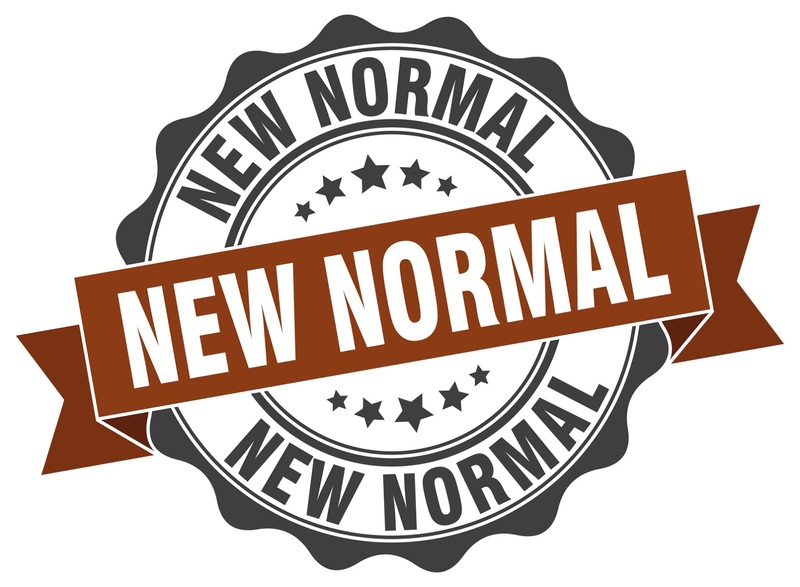 If you don’t change, or if only part of your organization changes, you won’t be successful at the new style of football. Athletes that are big, strong and fast. Industrial age success has been based upon a strategy that led to having a sustainable competitive advantage. Just like American Football this was usually based upon a combination of three things. Management and control systems that ensured everything was operating as it should. A competitive advantage was often rooted in one of those and strongly supported by the other two. You strengthened your business by becoming better at any or all of these. Industrial age business competition rewarded the company in an industry that was the best at doing these. But Association Football is different. There are still three factors that are indicators of successful team, but the factors are different. Some of the differences are subtle and some are profound. So comparing the success factors for football; in Association Football the athlete’s agility and stamina is prized over raw strength, skills are important but the critical skills are different, and the coaches have less direct control but must instead rely on the instincts of an empowered team. So we find in digital age businesses, digital technology implementation is more important than the proprietary technology. The business must rely more on empower teams to recognize and take advantage of opportunities rather than fixed processes that determine what can and cannot be done. Finally dynamic learning by the organization to take advantage of emerging opportunities rather than management control and precisely predicted performance. The good news is that whether in the industrial age or the digital age, you are still playing football. What you need to recognize is that you are no longer playing American Football, it is now Association Football – and that means many things about the game have changed. People have been developing products for thousands of years. The general process is well understood: 1) Identify a need, 2) Imagine a product concept that could address that need, 3) Create a prototype of the product, 4) Test it and refine it until it works satisfactorily, 5) Produce, market, and sell it to your customers. There are numerous product development methodologies that are tailored to specific companies or industries, but they follow this same pattern. The Internet of Things (IoT) will transform each of those steps. Let me define what I mean by IoT. I am using it in its broad context. The IoT is a network of devices, sensors, actuators, computers, displays, and any other physical device you can imagine that can communicate on a network. That means it either creates, distributes, displays or reacts to data on the network. And the network could be hard-wired or wireless. So, let’s consider what the IoT will mean to product development. The IoT will reduce the guesswork when it comes to identifying a customer need. First, many current products have little or no IoT presence, but they could. So, an obvious new product development is to add IoT capability to existing products. Then with the IoT information, look for defects, inefficiencies and other problems with existing products and processes. These are the next obvious candidates for new products. The characteristics of the concept will be affected by the IoT. The developers will need to consider the use of the product and all the ways that meaningful data could be generated and used, both within the product and remotely. The communication capability of the product can dramatically expand its ability to access data and coordinate its actions with other nearby products and systems. The product will no longer be an isolated and autonomous system. Now the concept is an integrated system with significantly enhanced capabilities. Now the IoT moves from not just the product and product idea, but into the actual product development process. With IoT technology, the developers can connect to 3D printers to create prototype parts in a fraction of the time that was required formerly. In addition, since much of the product functionality is likely to be based upon the software applications and both onboard and remote processing, changes to functionality can be prototyped with changes to a few lines of code. This will also shorten the time it takes to create a prototype. Many of us who have been through multiple development projects know that you seldom get everything right with the first prototype. So you build a second or third until you achieve the performance that is desired. This often creates delays, overruns, and eventually cutting corners elsewhere in the project. But again, with the IoT and the 3D printing and nightly downloads of new software, many prototypes can be quickly created and the lessons from one can be incorporated into the next and so on. Implementing the development best practice of iterative design and fast failure. Now let’s consider how the IoT will impact the detailed product design definition, process development and verification testing processes. Both the new product IoT capability and the IoT capabilities of the test equipment and manufacturing process equipment will be used. The product IoT will provide data throughout testing to establish a performance database. And with an extensive use of sensors in the product and the communication capability of IoT, this will be rich source of data for “tweaking” performance and fully characterizing the product characteristics. Add to this, the IoT capability of the test equipment being used and the designers and developers will have immediate access to extensive data that will both uncover hidden design flaws and then demonstrate acceptable performance. But the even bigger benefit is likely to be based upon the IoT capability of the manufacturing process equipment – both in-house and at suppliers. Manufacturing process development is often costly. This is especially true do to the ongoing changes when the doing concurrent engineering – that is development the product and process concurrently. Yet this concurrent approach is used because an even greater cost to the business is the delay in product launch that results from doing the manufacturing process development sequentially after the product development is finished. The IoT simplifies the change process with manufacturing equipment and at suppliers by electronically communicating design changes. In addition, the IoT provides real-time process data so manufacturing process issues – both in-house and at suppliers – are identified quickly, reducing the time needed to qualify the production process. The IoT will also improve our ability to product and market the new product. Let’s talk about production first. The IoT that is in the production equipment will enable the application of predictive maintenance algorithms that will reduce unplanned down-time and smooth production flow. In addition, the IoT sensors on the manufacturing equipment will enable a higher degree of real-time statistical process control that will decrease defects and improve overall product quality. 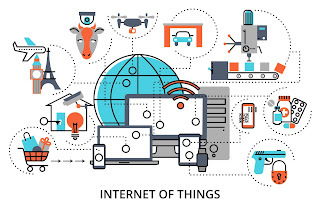 And to the extent that a product is customized for each customer order, the IoT capability of the product will allow the manufacturing process to install the unique software and configuration just prior to packaging and shipping the product. This will also serve to smooth out manufacturing flow and reduce scrap and rework. The IoT can also enhance the marketing of the new product. Of course, one obvious element of marketing is to promote the IoT capability of the product and the advantages for the customer. In addition, through IoT interfaces, the marketing and sales personnel will know product availability. Further, they can take a customer’s unique order information and communicate it right to operations in order to have a custom configured product. Finally, the sales person, or even the customer, can track the production and delivery status of the product to know when it is coming and to be prepared for its arrival. IoT is not just a buzzword or fad. It is transforming companies and industries. It will also transform the product development process. Stakeholder management is a major aspect of project management. The Project Management Institute identifies it as one of the ten major knowledge areas of project management and has numerous tools and best practices for managing stakeholders. But let’s face it. You don’t manage the stakeholders. In fact, it is much more likely that they are managing you. So what you manage are your interactions with the stakeholders. Now “interactions” implies that there are at least two individuals involved, you and the stakeholder. In this series, I want to address the best practices for interacting with stakeholders based upon how they normally interact. This is based upon what they consider to be compelling issues and their primary area of concern. I have identified five personas that represent the types of stakeholders I have encountered over the years. These are the action-oriented stakeholder, the expert-oriented stakeholder, the process-oriented stakeholder, the data-oriented stakeholder and finally the uninterested stakeholder. In this post I will talk about interacting with the data-oriented stakeholder. The data-oriented stakeholder trusts the data. They don’t care who collected it or what procedure they used, provided the approach was valid. They just want to know the facts. Give them test results, survey results, or the output from your model, and they are ready to make a decision. Give them your opinion, or even the opinion of several subject matter experts, and they will still want to go run a test or do a study to confirm it with facts. They believe that mistakes are made when we make decisions based upon assumptions and opinions - facts are needed to reduce the risk. They may ask where or how you got the facts, but that is just to be certain that you are not making them up or using inappropriate data. And you can count on them to check the math on your presentation slides to be sure everything is adding up. If there is a mistake, they will catch it, and at that point you will have lost credibility. They would appreciate getting the full data set from your test or study. You don’t need to provide that in a presentation, but you should have a handout ready to give to them that includes that data. If the data is clear, they will make a quick decision. If the data is inconclusive or incomplete, they will ask for more studies, tests, and analysis until the data gives a clear picture. They do not want to be rushed or pressured into making a decision. When discussing your project, have the actual data – cost, schedule, or performance data – associated with the issue being discussed. Be ready to explain the thresholds for what is considered to be good or acceptable levels and what is a problem. You can then defend your position or ask for your change based upon what the data says. The discussions should focus on the validity and completeness of the data followed by the implication for your project or organization. If you don’t have data, don’t ask for a decision. Instead discuss the approach you will be using to collect data. For these individuals, bad news is missing, suspect or incomplete data and good news is clear valid data that tells an unequivocal story. Even if something catastrophic happened on the project, if the data clearly indicates the cause and you are able to correct or avoid that cause in the future, this will be considered good news. However, if something either good or bad happens and you don’t know why, that is bad news to this stakeholder. It is an indication of an out of control situation. If you find yourself in that position, be ready with a plan for investigation that will lead to facts and data to explain what happened. If you come to these individuals armed with facts, data, and analysis, these individuals will be supportive. If you don’t have data or you can’t explain it, they will tear you apart. I have had the privilege to work with several stakeholders who operated in this fashion. In one case, I was able to quickly make a major scope change in a large project because I had the data to back up my recommendation. I must admit that early in my career I have been caught a few times in meetings with this type of stakeholder where I did not have my facts straight. Those quickly became very uncomfortable meetings. Stakeholder management is a major aspect of project management. 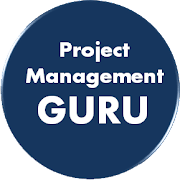 The Project Management Institute identifies it as one of the ten major knowledge areas of project management and has numerous tools and best practices for managing stakeholders. But let’s face it. You don’t manage the stakeholders. In fact, it is much more likely that they are managing you. So what you manage are your interactions with the stakeholders. Now “interactions” implies that there are at least two individuals involved, you and the stakeholder. In this series, I want to address the best practices for interacting with stakeholders based upon how they normally interact. This is based upon what they consider to be compelling issues and their primary area of concern. I have identified five personas that represent the types of stakeholders I have encountered over the years. These are the action-oriented stakeholder, the expert-oriented stakeholder, the process-oriented stakeholder, the data-orientedstakeholder and finally the uninterested stakeholder. In this post I will talk about interacting with the process-oriented stakeholder. The process-oriented stakeholder trusts the business processes and procedures. These stakeholders want to make sure everything is being done the right way. They believe that the business processes, procedures, and checklists are established for a reason and that reason is to reduce risk and help the business make wise decisions. In fact, they believe that most mistakes and problems in the organization are because people did not follow the processes, procedures, and checklists. And they have they have the examples to prove their point. They want to know that the correct procedures are being followed. And if the circumstances are outside of an existing procedure, they want a structured problem solving process to be used to deal with the situation and the documentation of the result to be used in the creation of a new procedure to address that issue if it ever comes up again. They may come across as bureaucratic. They would prefer to see the completed checklist or a step by step walk-through of the process and what happened at each step. They do not want to be rushed or pressured into making a decision. They want to go through all the steps and they believe that by the end of the process the correct decision will be obvious to everyone and easy to make. Generally speaking, they do not like argument, debate and controversy. When discussing your project always explain what procedures and checklists have been completed or are in-process. Be prepared to discuss the results or conclusions of the those procedures. If a procedure is in-process, explain how much progress has been made and how long it will take to finish the procedure. Then if the interaction is a decision point, be prepared to explain the options that are available and the criteria that should be used when selecting an option. Be ready with the documentation of the results of every procedure, process or checklist that has been completed. For these individuals, bad news is an individual or team not following the standard procedures and good news is that, even though something catastrophic has happened, there was a procedure for that and it is being followed. They will be very supportive if you have “played by the rules” and totally unsupportive if they believe the individual or team is “just winging it.” If the situation is one for which there is no procedure, process, or checklist, pick one that is close and use it as a guiding framework. Always have a plan. Even if it is a plan to create a plan – have a plan. If you are following the business processes and procedures, these individuals will be supportive, if you aren’t they will not trust any information or recommendations you provide. I have had the privilege to work with several stakeholders who operated in this fashion. By following the procedures; I found that I was quickly able to gain their trust and confidence and I could accurately predict how they would react to almost any situation. By the same token, I have seen project managers fired during a meeting when they admitted that they had ignored a procedure.